Hydro Australia identifies the root cause of pump failure and re-engineers pumping equipment to eliminate those problems identified while keeping costs down for our customers. Our approach is different from other local suppliers who simply repair equipment. Because we are independent, Hydro Australia offers an unbiased view of all pump problems and is not driven by the sales of spare parts or new pump sales. Our driver is to fix your pump problem. 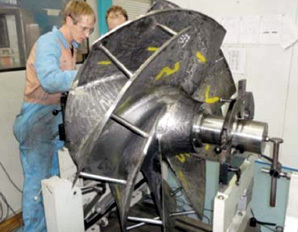 Hydro Australia’s approach focuses on increasing equipment life, thereby reducing maintenance costs associated with the repair, parts purchase and in-house labor costs resulting from premature equipment shutdown. 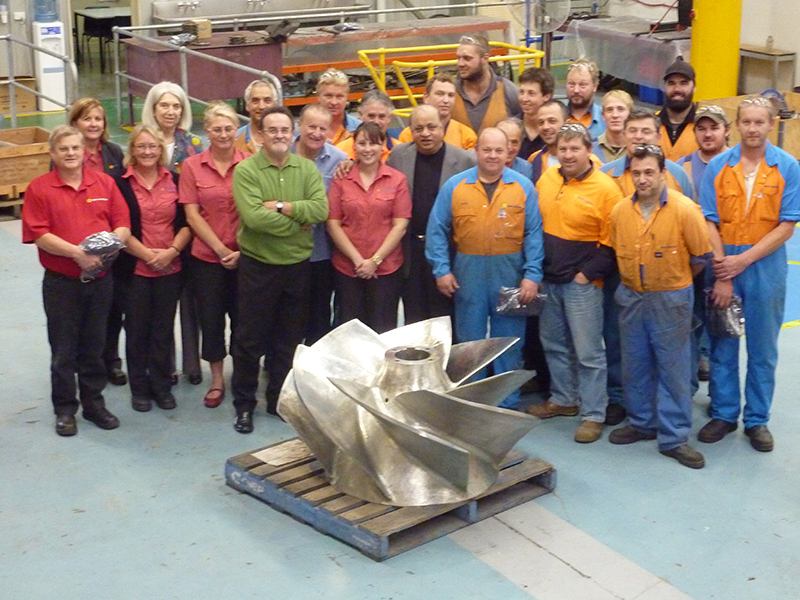 Quality is the foundation of Hydro Australia’s approach. We are committed in every way to ensure our customers receive the best possible service we can provide. Communications, both oral and written, are of the highest standard and we pride ourselves in the quality of our documentation. Our sales and support representative is your first point of contact for new enquiries and is the conduit to the rest of the shop. Our Workshop Foreman is responsible for getting the equipment dismantled and ready for the inspection team; whereupon we would carry out a detailed analysis of the equipment and collect all the data required to put together a comprehensive “as found” report. Once the proposal has been accepted by the client, our Technical and On-Site Services team would generate all the job cards and QA documentation for the Workshop Foreman to move into the next phase of the refurbishment project. Our engineering team and Quality Assurance teams would provide assistance throughout the project and help compile the detailed “as built” report for the customer upon project completion. Hydro Australia takes pride in providing shorter turnaround times that help our customers get their pumps back into service with reduced downtime. 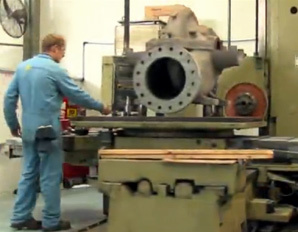 As soon as an enquiry is entered into our system, that enquiry is given a specific project number, which follows that job through every facet of the pump rebuilding process. 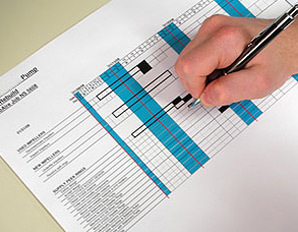 A production meeting is held and a report is produced weekly; listing action items for each job, the stage that it is at, and those action items still required. This report is then supplied to all the appropriate people within the organisation for action and we keep the customer involved in the project as it progresses. Hydro Australia maintains an “open door” policy, inviting unannounced visits by our customers to inspect our workmanship. 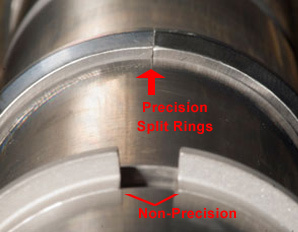 When pumps are in our shop, customers may review work being done on the shop floor, or speak with the inspectors, mechanics, and machinists that are working on their job. As a result of this open communication, we find that we are able to build a high level of trust with our customers, sharing ideas and working as a team to solve pump problems.